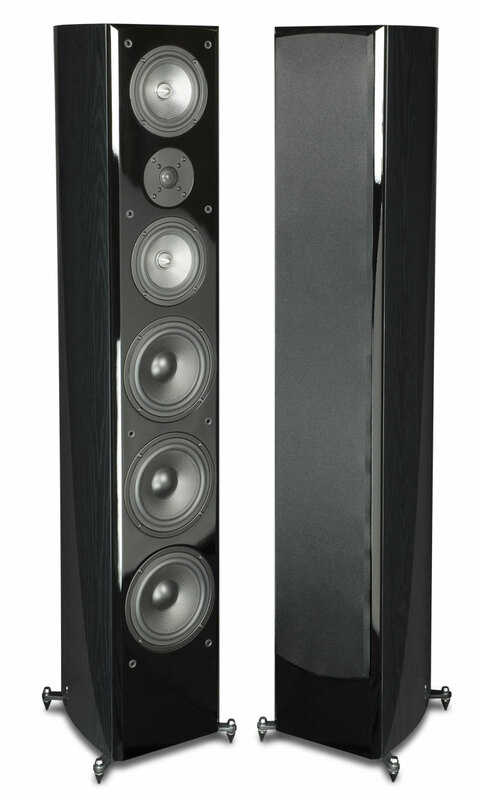 If you want a speaker that can truly deliver a tonally accurate, dynamically lifelike reproduction of your music which also happens to look stunningly beautiful, than the EMP E55Ti’s Impression Floorstanding speakers should fit the bill nicely. The E55Ti tower consists of six drivers, and is a vented 3-way design standing nearly 4ft tall. They produce a huge soundstage and can play exceedingly loud down to a modest 50 Hz, with little to no audible compression. In my opinion, these speakers look as good as they sound which is something I rarely find myself saying at this price point for a tower speaker system. The EMP E55Ti’s come with a 5 year warranty and a 30 day money back return policy with free shipping both ways. This makes for a risk free trial for you to demo these speakers in the most critical and important listening room – your own home theater. Highly recommended! About Audioholics.com -Audioholics.com is the largest audited home theater A/V publication online with over 1.1 million monthly readers. Founded in 1999, Audioholics provides more in-depth non-biased professional reviews, tech articles, daily news, how-to’s and buying guides than any other site of its kind. It empowers readers who are making purchases and inspires readers who are striving to maximize their A/V experience.